Security expert Ebrahim Hegazy has found a Password disclosure vulnerability in Barracuda update servers which allows to gain access to employee credentials. 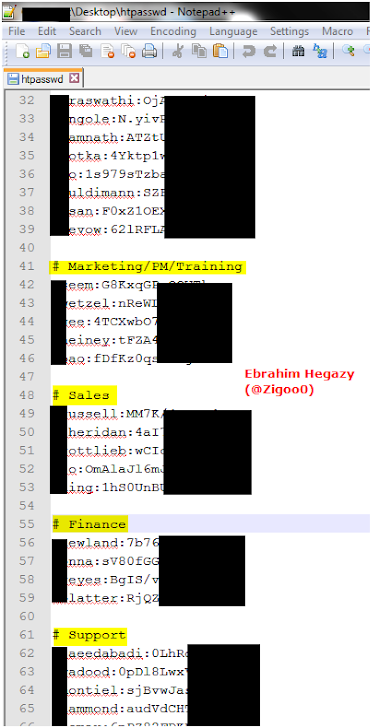 The Egyptian information security advisor Ebrahim Hegazy(@Zigoo0) has found a Password disclosure vulnerability in one of Barracuda update servers which allows the attackers to gain access to all its employee data. But in Barracuda issue the file was stored inside the admin panel directory and was accessible by anyone with serious repercussion. If the user directly accesses the following link http://updates.cudasvc.com/admin/.htpasswd ,he will be able to disclose the passwords of all Barracuda Network Employees such as: Support, Sales, UK Branch employees, Update server users, Engineers and more of those who have access to the basic authentication layer! The vulnerability has been reported by Ebrahim Hegazy to Barracuda, that already fixed it, despite it is not eligible for the bounty. Curious that Barracuda considered "Password disclosure vulnerability" out of scope vulnerability, IMHO I consider it a critical flaw. Ebrahim Hegazy has found and reported the vulnerability to Barracuda as a participant in the Barracuda bug bounty program. 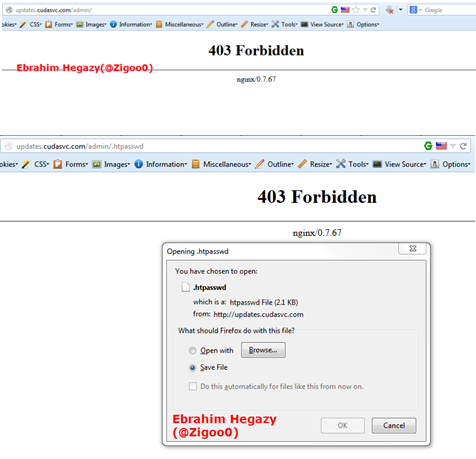 I consider Ebrahim Hegazy a very skilled professional that is doing an excellent job in security field, let's remind that in the last months he already discovered flaws in DropBox, Avira web site and Yahoo! ... What is the next? What will happen if these smart guys will start to sell the knowledge of vulnerabilities in the underground?